Texas state Rep. Rene Oliveira speaks at a news conference. Texas Gov. Rick Perry, an ardent proponent of limited government, has made repealing federal health care reform a cornerstone of his presidential campaign. But in 2009, the governor quietly signed an unprecedented health insurance mandate into law, which some leading experts say could waste vast sums of money and provide little medical benefit. Perry’s actions came two years after he signed a controversial executive order that mandated HPV vaccines for sixth grade girls — an order which the legislature quickly overturned and which was widely criticized as an example of intrusive government and political cronyism. The Perry administration contends that both laws were designed to save lives. Texas has more health insurance mandates than all but three other states in the nation. The 2009 measure, the Texas Heart Attack Prevention Bill, requires insurance companies to pay for CT scans and ultrasound tests that can detect heart disease. The companies must reimburse middle-aged and elderly citizens up to $200 for these tests, if they are either diabetic or at intermediate or higher risk of developing cardiovascular illness.They need not have any actual heart problems. Nearly 2.4 million Texans fall into this group, estimates Dr. Amit Khera, a professor at Texas’ Southwestern Medical Center. If one fourth of them had the appropriate insurance and took advantage of the benefit only once, insurance companies would be required to spend $120 million. There is no data on how many people have actually used the benefit. Yet there is little evidence that the tests can improve people’s health, some experts say, and the U.S. Preventive Services Task Force, an independent panel of health experts, does not recommend the tests for routine screening. Perry signed the bill into law without comment. It was sponsored by a Democratic lawmaker who suffered from heart disease, and was promoted by a controversial medical group with a history of ties to Pfizer, which makes the cholesterol-lowering drug, Lipitor. Critics say Pfizer, a major Perry contributor, could benefit from the legislation because the mandated test would likely uncover more people with heart problems, who might then be prescribed Lipitor. Perry received more money from Pfizer than any other political candidate nationwide over the past six years, campaign finance reports show. 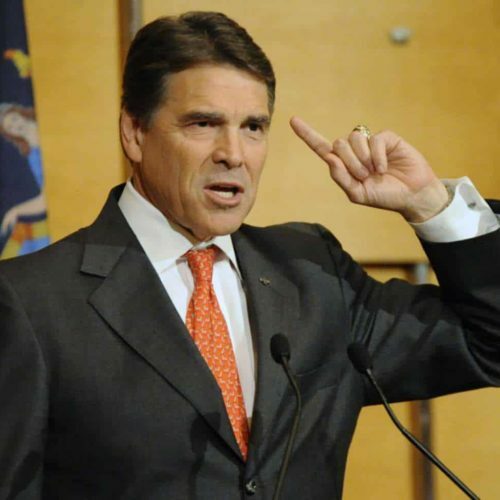 The company also contributed more than $2 million to the Republican Governors Association between 2006 and 2011, during which time Perry served two terms as the association’s chairman and also as finance chair. Texans for Public Justice, a government watchdog group, has criticized Perry for allegedly using the Republican Governors Association to channel money into his own races. A Perry spokesman declined to address the issues raised by Pfizer’s support with iWatch News, but has previously dismissed as “ridiculous” assertions that the governor solicited funds from donors who sought special benefits. It is unclear how many Texans have used the little-publicized insurance benefit so far, let alone even know about it. But the legislation has attracted the attention of national health experts, who have sharply criticized it in leading medical journals. Texas has the nation’s lowest percentage of citizens with health insurance, with nearly 25 percent of residents lacking coverage, U.S. Census data shows. He compared the legislation to the controversy over Perry’s 2007 executive order to mandate HPV vaccines for young girls. “Does he favor state mandates for favored groups?” Jacobson asked. That mandate became controversial during Perry’s presidential bid when it became clear that one of his top advisers lobbied for Merck, which made the vaccine. Even Perry supporters have complained about the number of health insurance mandates in the Lone Star state. The Texas Public Policy Foundation, a conservative group that counsels Perry on issues, has bemoaned the number of health mandates in Texas. The state has 60 health insurance mandates, more than every other state except Rhode Island, Maryland and Minnesota, according to the Council for Affordable Health Insurance. The number of benefit mandates has jumped nearly 50 percent since Perry took office 10 years ago, says Jared Wolfe with the Texas Association of Health Plans. “Recent studies show that one-fourth of uninsured individuals go without coverage because of the increased costs from health insurance mandates,” Kalese Hammonds, then a Texas Public Policy Foundation health care policy analyst, wrote on the group’s website in 2008. At that time, the legislation on CT scans and ultrasounds was still under consideration. “Curtailing such mandates presents an immediate opportunity for lawmakers to lower the cost of insurance plans and help reduce the number of uninsured.” Hammonds, who now works as a budget analyst for the Perry administration, did not return calls for comment. The heart disease testing legislation was sponsored by Rep. Rene Oliveira, a Democrat who first filed the bill in 2007, on the day he returned to his office following double bypass surgery. Oliveira chaired the legislature’s powerful House Ways and Means Committee when the legislation passed. The 51-year-old lawmaker, who had a long history of heart disease, was not planning on bypass surgery back then.. In fact, he had traveled to Florida in late 2006 to participate in a rigorous program at the renowned Pritikin Longevity Center and Spa in Florida, which promotes diet and exercise to control cardiovascular illness. When health care workers there became concerned about his reaction to the vigorous workouts, Oliveira had a heart scan, called a 64-slice CT scan, which showed he had 95 percent blockages in two arteries, said Tony Gray, the lawmaker’s legislative director. Oliveira’s insurance initially refused to pay for the test, which the lawmaker believed saved his life. “I was able to get a bypass around the blockage before I had a heart attack, which was imminent,” he said in a press release the day he filed the legislation. But the CT scan that Oliveira received is not the same test that he proposed in his legislation, says Dr. Thomas C. Gerber, an expert on heart imaging at Mayo Clinic in Minnesota. Oliveira had a more elaborate diagnostic scan — complete with dye injected into his veins — to assess his long-standing heart problems. The legislation called for simpler coronary-artery calcium CT scans and carotid artery ultrasounds for men between the ages of 45 and 75 and women between ages 55 and 75 with intermediate risk of heart disease. They need not have any symptoms of disease. The bill became law in 2009 without any input from major medical societies, such as the American Heart Association. The heart association did not endorse the legislation, but the Texas chapter of the American College of Cardiology ultimately supported it. The law closely tracks guidelines promoted by the Society for Heart Attack Prevention and Eradication, SHAPE, a controversial Houston-based group. The society, which says it was formed to redefine preventive heart health, argues that most adults should be screened for heart disease, just as they are now screened for cancer. He calls SHAPE a “group of shameless self-promoters,” saying some scientists in the group could profit from a surge in imaging tests. Dr. Morteza Naghavi, SHAPE’s founder, has launched several medical companies including CardioNexus Corporation, which got the federal government’s approval this spring to sell a new portable ultrasound imaging device to doctors’ offices and retail health clinics. The device, called the CardioHealth Station, is one of seven devices on the market that can be used for the ultrasound tests included in the Texas insurance mandate, Naghavi said. CardioNexus, an affiliated company of Panasonic Healthcare Company Ltd., projects it could make $150 million selling these devices within the next five years, according to the Houston Business Journal. Naghavi has never donated money to Perry or the Republican Governors Association, but years ago both advised and received research support from Pfizer, a major Perry supporter. The drug company’s best-selling drug, Lipitor, reduces cholesterol and is frequently prescribed to patients to reduce cardiovascular risks. Pfizer donated more than $2 million to the Republican Governors Association from January 2006 to July of 2011 and $50,000 to the Perry campaign between January 2001 and July of 2011, making the drug company the fifth-biggest donor to the two groups combined, according to Texans for Public Justice, which tracks the influence of money in politics. The drug company, meanwhile, gave Perry more money than any other individual candidate between 2004 and 2010, campaign records show. “Governor Perry has made a career out of servicing big corporate donors like Pfizer,” charged Andrew Wheat of Texans for Public Justice. Pfizer did not return repeated calls for comment. Naghavi says he never had an affiliation with Pfizer lobbyists. Pfizer stopped financially supporting SHAPE in 2006, he said, after the drug company gave the group $55,800 to publish its screening guidelines in a supplement to the American Journal of Cardiology. He said his group asked every drug company that makes cholesterol-lowering drugs for financial contributions, but only Pfizer donated money. SHAPE says the majority of adults should get imaging tests of their heart, so doctors can actually see the amount of plaque in patients’ arteries. It estimates the Texas law could prevent 4,300 sudden cardiac deaths and save $1.6 billion per year — statistics that other doctors vehemently dispute. Rather than using traditional risk factors, such as cholesterol levels, to decide who to treat for heart disease, doctors should focus more on the amount of plaque in patients’ arteries, he says. But many doctors question whether seeing plaque has any effect on patient treatment or life expectancy. The heart association says it is reasonable for doctors to use the scans for individuals with intermediate risk of heart disease, but it does not endorse widespread screening, Robertson said. “There is no evidence to suggest that this would improve the outcomes for patients or the public,” she said. Scanning millions of Texans for heart disease could cause risks as well as benefits, said Khera, who analyzed the legislation’s flaws in the Archives of Internal Medicine. The tests, which involve radiation, would cause hundreds of Texans to develop cancer, he said. They would also uncover hundreds of thousands of medical abnormalities that do not affect patient health, but patients would need to undergo follow-up tests to make sure the abnormalities were harmless, he said. To Jacobson, who directs the Michigan center on law, ethics, and health, disputes over the tests’ value make it clear that the legislation was inappropriate. Meanwhile, as medical professors debate the legislation, it’s unclear to what extent insurance companies are actually reimbursing patients for the tests. There have been reports of insurance companies finding loopholes to circumvent the law, doctors say. The legislation only applies to fully-insured businesses, where health care claims are paid by insurance companies, says SHAPE’s executive director, Jay Donnella. The state’s largest employers are typically self-insured, paying claims directly to employees. Donnella says he is working to convince large employers as well as federal Medicare officials to cover the tests. Is Michael Jackson’s doctor disqualified from Medicare? Or are two senators mistaken?